Sorry, but this item is currently out of stock. 10 boxes per inner case. 2 inner cases per master case. Look for 2 autos (1 on-card), 2 base, 1 parallel and 1 insert per box on average! Contenders Optic returns to the hobby and showcases some of the most popular sets, including Rookie Ticket RPS Autographs & Player of the Year Contenders Autographs! Search for Contenders Tribute sets that include on-card autographs from 1999, 2002, 2003, 2004 & 2005! Look for RPS Rookie Ticket Autographs on Opti-Chrome technology. Each box delivers one on-card RPS Rookie Ticket Autograph on average! Contenders Optic is loaded with inserts, such as MVP Contenders, Player of the Year Contenders & Triple Threat! 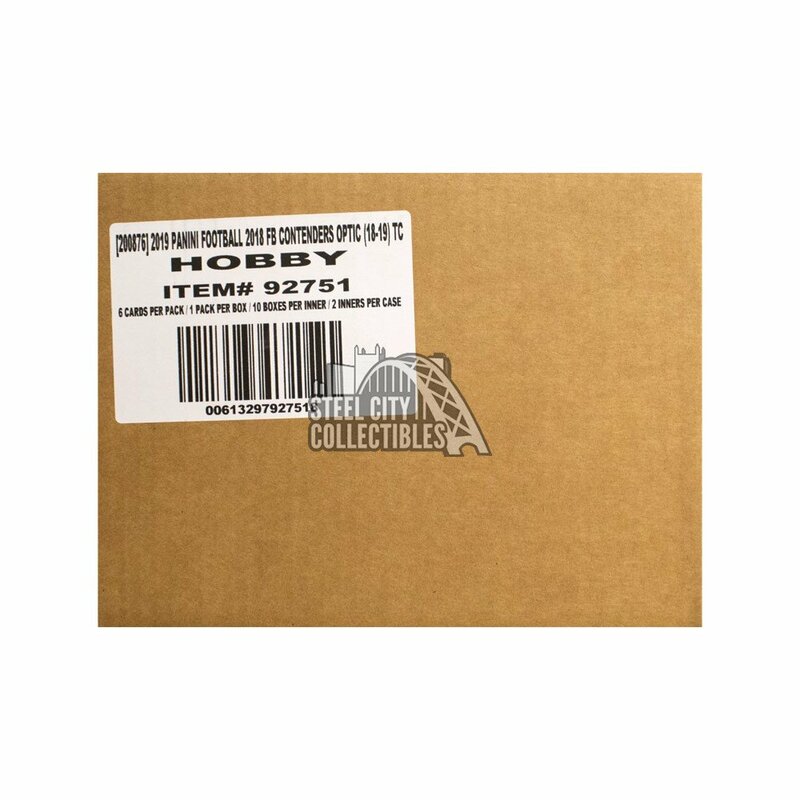 Hunt for the Optic version of one of the most iconic rookie cards of the past century, the 2000 Contenders Tribute Autograph of Tom Brady!